At MyOwnPet Balloons, we understand the bond between child and pet. Loyalty, friendship and fun create a special connection comparable to few other things. This meaningful interaction helped inspire the MyOwnPet balloon line, allowing children to simulate that experience (using a little imagination!) with any animal, whether penguin, pig or pony. 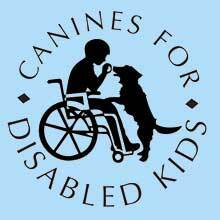 Canines for Disabled Kids (CDK) is a non-profit organization connecting children with disabilities to canine-assistance programs and resources. The CDK mission is twofold, first, to help families with disabled children obtain service dogs through education, financial aid and advocacy and second, to make families aware that these resources even exist. There are approximately 52 million Americans with disabilities in the United States and about one percent use service dogs. With a higher demand than supply, canine assistance programs often impose disability or age-specific requirements along with waiting periods of up to 10 years. Children with disabilities under the age of 12 are often the ones denied training assistance dogs. Seeing the challenge, Canines for Disabled Kids began to bring awareness to families with special need children, encouraging the placement of assistance dogs with these children. Since 1998, CDK has sponsored over 130 assistance dogs and provided services to more than 15,000 individuals. Canines for Disabled Kids is helping children with disabilities gain independence and participate more fully in society. We want to bring this program to the thousands of families who are unaware that help is out there.